One of the important processes in any manufacturing is the testing process. In a smart card manufacturing environment, each die is tested using a probe card. A probe card is designed especially for a single smart card chip design. 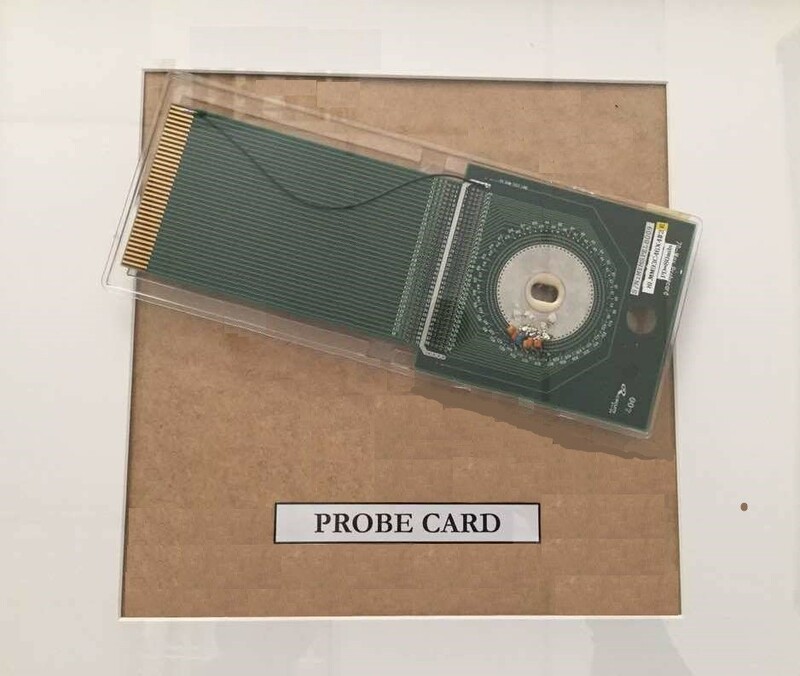 As you can see in the display, there are a few probe pins. These probe pins will be the interface to connect with each die and test its functionality. If there is any problem or the test fails, the die will be marked to indicate it is a reject. Marked dice will not be selected to be embedded into the modules.